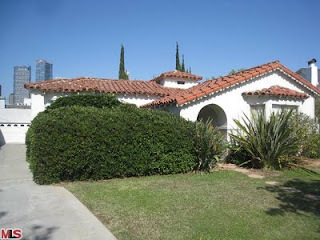 2036 Linnington Ave., LA CA 90025 lasted a brief 5 days on the market before receiving an accepted offer on 9/23/09. The home was listed on 9/18/09 for $998,000. The final sales price of $953,000 was recorded on 11/24/09. The house was more 'fixerish' with its original kitchen and baths. The listing did say that copper plumbing and forced air heating had been added. For the square footage this seems to be a good value if you don't mind doing a few updates. According to the MLS, the home is a 2 bedroom / 1.75 bath, 2,162 sq ft of living space on a 9,191 sq ft lot.